As I look out the window, I still see the snow but when I am outside hiking with the dogs, the sweet softness of spring air is undeniable. It’s always an exciting time – seeing the flowers bloom and the new life peek through the brown ground, slowly spreading green around our beautiful Western Massachusetts landscape. But wait, what about the dogs? Well, it’s exciting for them, too. There’s new mud fashion to wear, balls to fetch, training to do and seminars to attend! Read on to see about what’s new and upcoming at PBC! 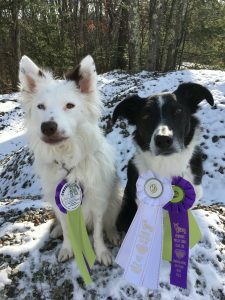 Congrats to PBC puppers and their new competition titles! We say goodbye to winter with some fun successes from our team. 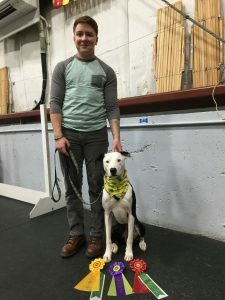 Connor and his dog, Daisy, completed their Rally Novice title. My NEBCR alum, Leelah Bean, completed her Rally Advanced title and Tally ventured out of the sheepherding field to complete his Rally Novice title. Curious about dog shows? Some really fun ones are coming up to watch and/or attend. This weekend the AKC is hosting the Rally National Championship and the National Obedience Championship down in Perry, GA. Check out www.akc.org for more information! Looking for something local to check out? Visit the Eastern States Expo in April to see all the best locals compete in all sorts of dog sports including conformation, Rally, competition obedience and agility. The springtime show is 4 day epic event! See your favorite breeds and all the fun stuff they can do with some training and the commitment of a dedicated handler. Hey you Midnight Dog-Walkers! Reactive Workshop registration is OPEN! Yep, the time has come for springtime Reactive Workshop. If you are new to tackling the task of training your reactive dog to walk nicely on leash or accept strangers in the home, join us for just $25 as an auditor. 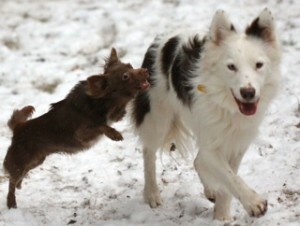 If this isn’t your first rodeo with PBC and Reactive Workshops, work your dog in a safe & controlled environment. Want to learn more or register? Click here and be on your way (working spots are limited to 8 so early registration is recommended to make sure you get your spot). Please share with friends and family who will benefit from this workshop. Let’s make our dog parks, streets, and neighborhoods safer for everyone! 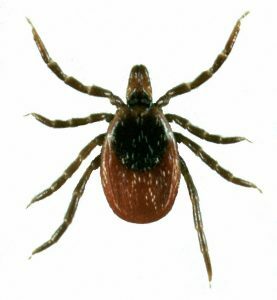 Tick-borne diseases are no joke for you or your dog. 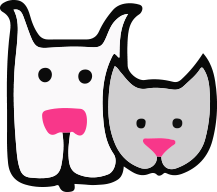 Check out my blog on the various new products to protect your pet. You need to be safe, too, otherwise who will be throwing the ball for your dogs all season?! Learn expert tips now! Looking for an amazing book to read? The exquisite author Patricia McConnell has done it again. 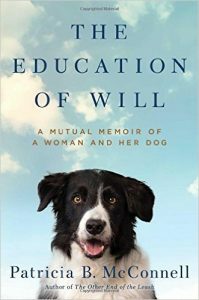 Her most recent book is a beautifully written story about healing trauma with both humans and canines. Deeply personal, vulnerable and honest, it’s a book for anyone who has lived with a reactive dog…and it’s also for anyone who has found solace and comfort with their canine companions. Buy it on Amazon or by clicking here!